Griffin Soil Group is a specialty soil stabilization subcontractor. Since 1986 we have grown and developed into the industry leader using innovative techniques, equipment and expertise. Today, the Griffin Soil Group is comprised of Griffin Soil Stabilization, Griffin Materials, Griffin Engineering and Griffin NSB. 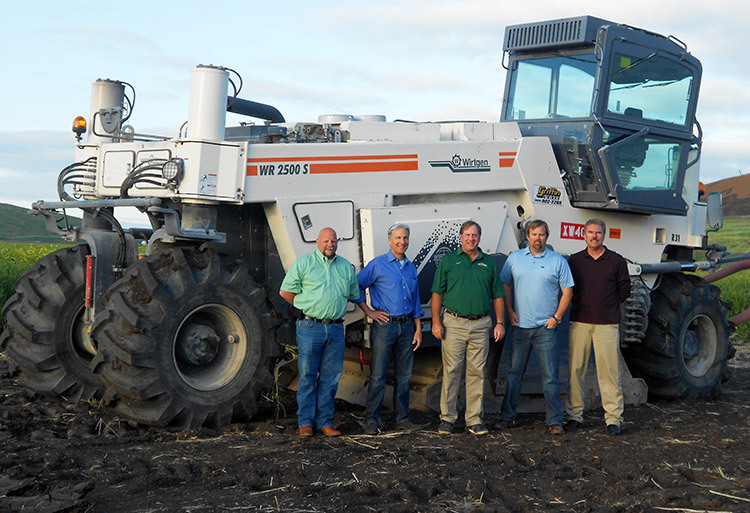 Our biggest strength is the complete vertical integration of all aspects involved in providing soil stabilization to our customers. From lime and cement handling and storage, through innovative design, engineering and testing, to the mixing and compaction, we provide solid reliable service and smart solutions. As the industry leader we are involved in the development of technical knowledge and empirical data supporting the engineering, quality control and advancement of soil stabilization. We work with and support federal, state and local agencies in developing new specifications and methods that help educate and advance the industry to help build tomorrow’s sustainable infrastructure.